Andrew Benintendi and Yoan Moncada are getting tons of attention lately, both for their tremendous recent play and because the trade season is underway. The top two prospects at SoxProspects.com will be squaring off against each other at the All-Star Futures game on July 10 at Petco Park in San Diego. Unfortunately, Moncada is also part of some negative news involving the Red Sox. Boston lost five prospects to free agency and is banned from signing international free agents for the current international free agency period, which began on Saturday, reportedly for signing the five prospects as part package deals in which the players' trainer redistributed money ostensibly given to other players up front. The Red Sox had been limited to $300,000 per player due to some major signings during the 2014-15 signing period, including Moncada. 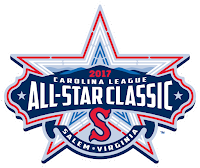 On a better note, the Salem Red Sox have announced that they will host the 2017 Carolina League All-Star Classic. It will be the first time since 2006 that Salem has hosted the event. 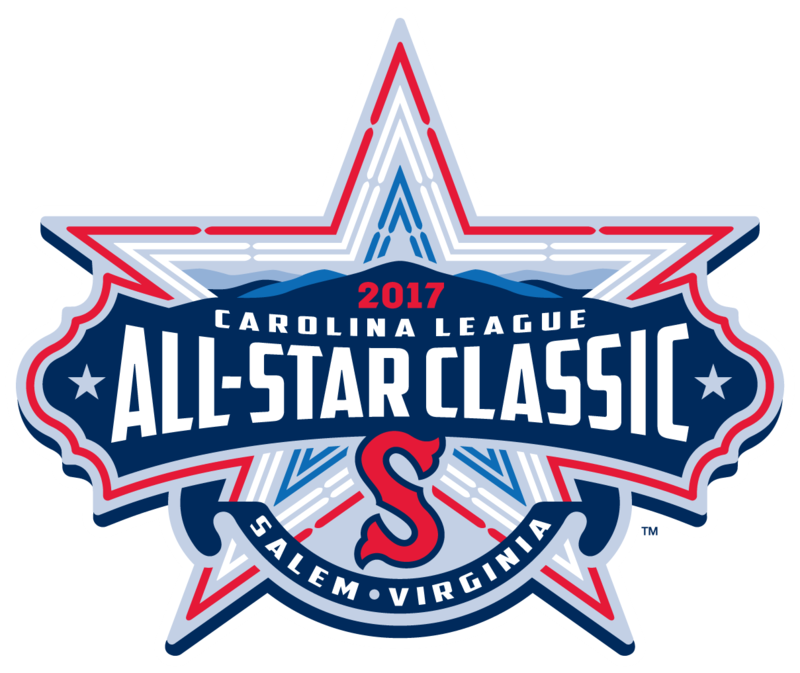 They will also be celebrating a special occasion, as 2017 will mark the 50th season of Carolina League baseball. There will be a skills competition held at Kiwanis Field in Salem on June 19, along with the game that will take place on June 20 at LewisGale Field. Sean O'Sullivan and Chris Marrero will represent the Pawtucket Red Sox at this year's Triple-A All-Star Game on July 13. Marrero is having a terrific season, batting .278/.334/.467 with 12 home runs, 15 doubles, and 34 RBI. The Boston Red Sox needed a starting pitcher to step up, and Sean O'Sullivan was able to do that yesterday. The righty tossed five-plus solid innings in a 10-5 Boston win. He is 6-2 with a very impressive 2.79 ERA for the PawSox this year and has walked just 10 batters in 71 innings with 51 strikeouts. The Sea Dogs will be represented by left-handed reliever Williams Jerez and catcher Jake Romanski at the Eastern League All-Star Game, which will also be played on July 13. Jerez has a 4.58 ERA in 39 1/3 innings and Romanski is hitting .304/.338/.376 in 52 games. SoxProspects.com's Director of Scouting Ian Cundall was able to get out to Lowell and provide some reports and analysis on what he saw from some interesting prospects, including Josh Pennington, Darwinzon Hernandez, and Gerson Bautista. Pennington and Bautista both spent 2015 in the GCL and Hernandez is making his stateside debut in 2016 after a couple years in the DSL. The Red Sox signed another 2016 draftee on Saturday as well. Right-handed pitcher Shaun Anderson out of Florida has signed for $700,000, which is just above third-round slot value. He was a great closer for the Gators, posting a 1.04 ERA and had just six walks in 43 innings. Many speculated that Aaron Wilkerson would get the start this past Sunday for Boston. The Red Sox elected to go with Sean O'Sullivan instead, but there is still a possibility that Wilkerson could make his major league debut in the near future, given how much Boston's rotation has struggled. The SoxProspects.com scouting team has been able to check out the 27-year old right-hander a couple times this year. Here are some notes and video on Wilkerson: link. Pat Light was also called up to the Red Sox for a quick stay. He was sent back down yesterday, but it certainly seems like Boston likes him as an emergency bullpen option, as this was his second major league stint of 2016. Here is some video from late May on Light: link. With the draft over, it was time for the SoxProspects.com podcast to get back to discussing what's going on in the system of late. There was talk about the big top four prospects, including Rafael Devers who is coming out of his early-season slide. The GCL Red Sox and Lowell Spinners are also underway. Alex Speier of the Boston Globe wrote about how the Red Sox are invested in scouting and signing international free agents. Over the past few years, the Red Sox have made some highly impactful signings on the international market, from Xander Bogaerts in 2009 to some of the current top prospects, including Devers, Moncada, and Anderson Espinoza. Speier also wrote about the incredible road that Wilkerson has taken to get to where he is. Some compare it to Daniel Nava, who was signed out of independent ball as well and improbably made it to the major leagues. Ben Buchanan of Over The Monster wrote about SoxProspects.com's second-ranked prospect, Andrew Benintendi, and speculated when he could reach the majors. 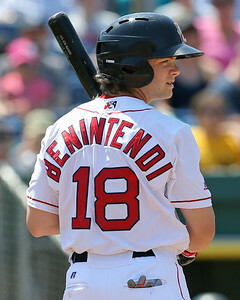 Benintendi has yet to struggle in professional baseball for an extended period of time, and Buchanan thinks that it's not unreasonable to think Benintendi could get a shot in Boston in 2016. On Saturday, over 80 kids took part in the Sea Dogs Baseball Clinic at Hadlock Field. WCSH has more details on how the camp is run. Wil Kramlich of The Sun Journal writes about the bright future of prospects on the Sea Dogs. Kevin Thomas of The Portland Press Herald wrote a nice piece on Mauricio Dubon, Sea Dogs shortstop and the 12th ranked prospect at SoxProspects.com. He has received some advice from current Red Sox star shortstop Xander Bogaerts. He would also become just the second native of Honduras to reach the MLB, should he get there. Jake Mintz and Jordan Shusterman, the two men behind Cespedes Family BBQ, had some fun with Red Sox prospects Nick Longhi and Rafael Devers. As part of their trip across the country visiting minor league games and interviewing players, Mintz, Shusterman, Longhi, and Devers hit home runs with some glorious bat flips at mini Fenway Park. After a brief adjustment period upon his introduction to the Double-A level, Andrew Benintendi has quickly adapted and made short work of the Eastern Leauge. He was named to the Futures Game a month after his promotion, along with teammate Yoan Moncada. His best performance this week came against the Yard Goats, as he went 2 for 3 with a home run, two RBI, and two runs scored. Benintendi raked in June, tallying a .305/.362/.524 slash line throughout the month. Eduardo Rodriguez hit rock bottom when he couldn't get out of the third inning and gave up nine earned runs on Monday in Tampa Bay. He was promptly sent back down to Triple-A to figure things out. So far, so good. Rodriguez delivered on of his best outings of the year on Sunday, going seven innings without allowing a run. He gave up just two hits and two walks on the day.